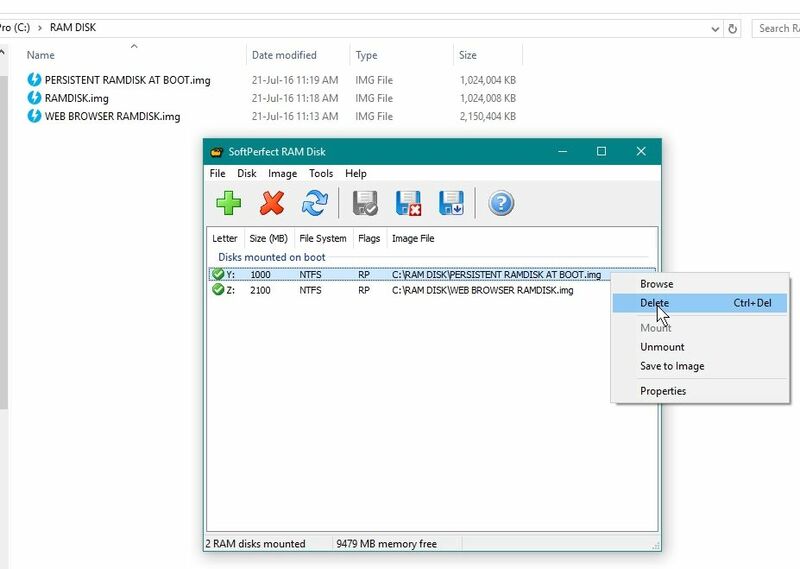 if i delete a mounted image file from softperfect window then the image file does not get deleted in hard disk. This is by design. 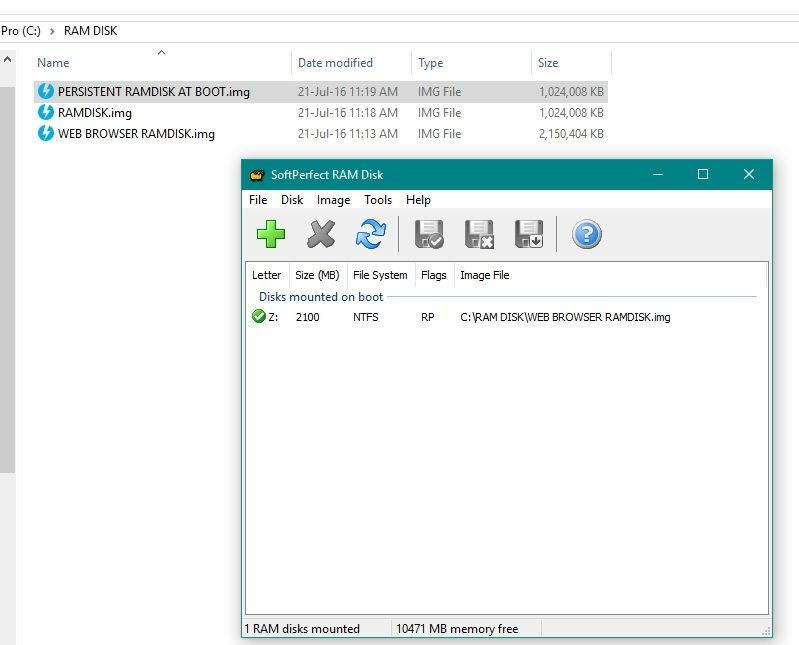 Deleting a RAM Disk, does not delete its associated image. Otherwise we'd have people complaining about their data unintentionally lost.